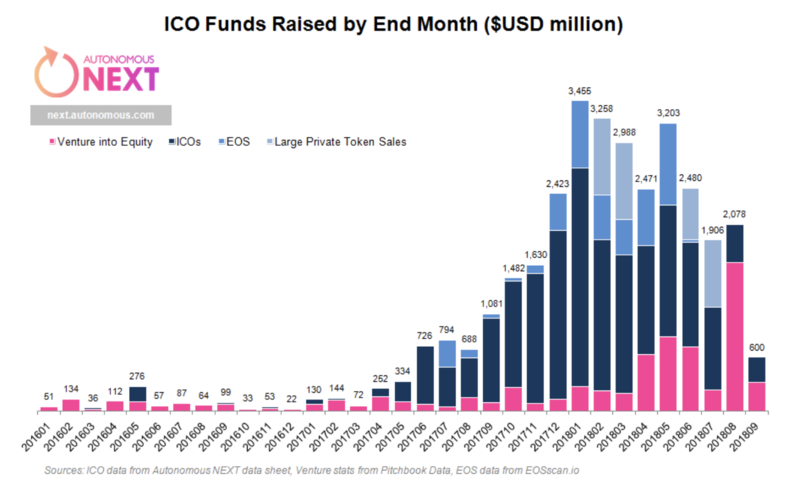 An insightful research by Autonomous Next revealed that funds raised through ICOs across the globe have seen a significant dip of almost 90% till September, since the beginning of this year. One of the major reasons is stated to be the emergence of Social Token Offerings [STO]s. While the funds raised through token sales in January 2018 was almost $3 billion, in September, it dropped to almost $300 million. Security Token Offerings is stated to be one of the major reason for the decline in ICOs. This seems like an obvious choice as these security tokens are actual financial securities. As STOs are essentially backed by the US Securities and Exchange Commission [SEC], investors tend to choose it over ICOs. However, the research terms it “unlikely” for STOs to find a strong ground in the market soon due to the regulations imposed upon it. This departure from the magnanimous January figure, according to the independent research, is due to two other factors as well; the devaluation of the idea of buying a utility token, and ‘possibly’ the ongoing crisis in Chinese P2P lending that started in 2015. 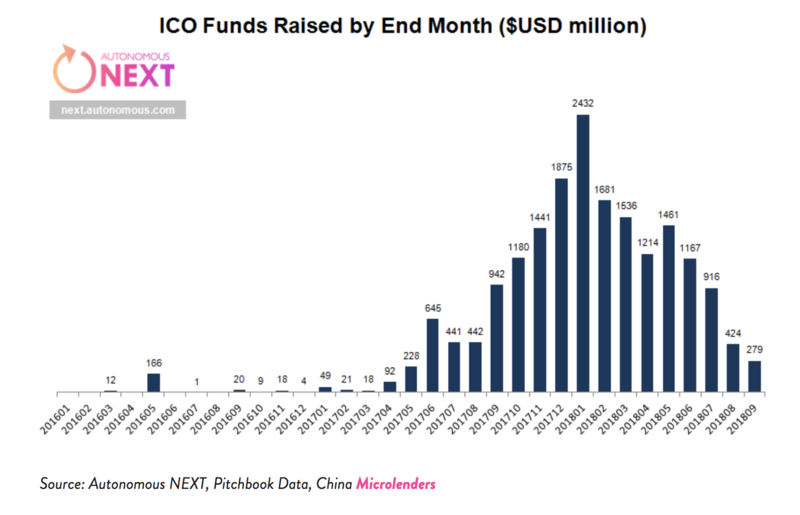 An insightful research by Autonomous Next revealed that funds raised through ICOs across the globe have seen a significant dip of almost 90% till September, since the beginning of this year. One of the major reasons is stated to be the emergence of Social Token Offerings [STO]s.
While the funds raised through token sales in January 2018 was almost $3 billion, in September, it dropped to almost $300 million. The firm then goes on to explain each of the reasons that slowed down the trend. The ‘crash’ in cryptocurrency prices after the apparent ‘crypto boom’ might have made investors wary of responding to ICOs. Due to the volatility of the market, some investors may have invested in equity since they have a better understanding of the market, but in the same companies. The trend is then justified by two major factors; the interest of fintech companies in crypto, and Bitmain trying to capture capital before the ICO. This could be the result of the decline in crowdfunding and an increase in the number of private players. The third factor is not concrete as the report could not explain it in detail. It speculates that the upward trend last year could have been fueled by the Chinese P2P lending crisis. Due to the market factors at that point in time, maybe, risk-seeking capital might have wound up in ICOs, it says. Though China has cracked down on cryptocurrency service providers in the recent past, a large number of them are still active overseas. They also offer services to investors in China, despite the crackdown.